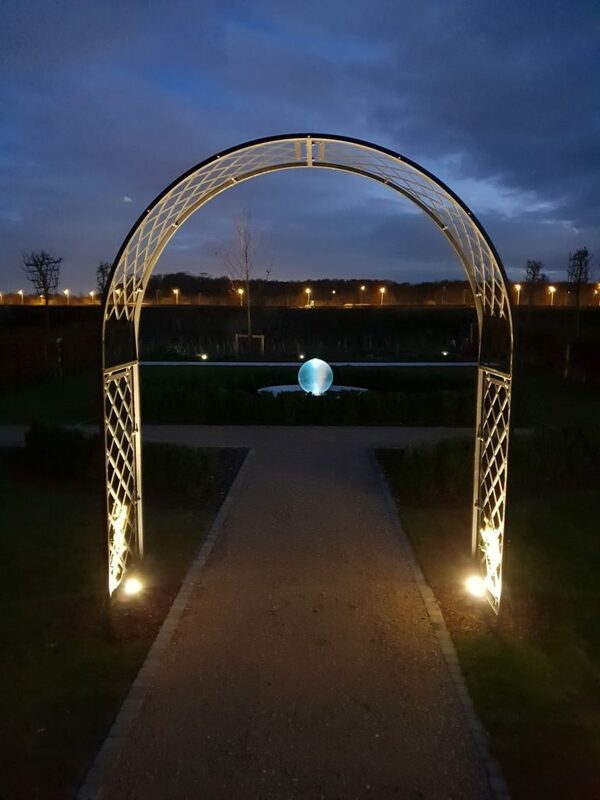 This lovely Aqualens (60cm/2ft sphere with 2m/6ft dish) is just glowing in the night at in Derby, UK. 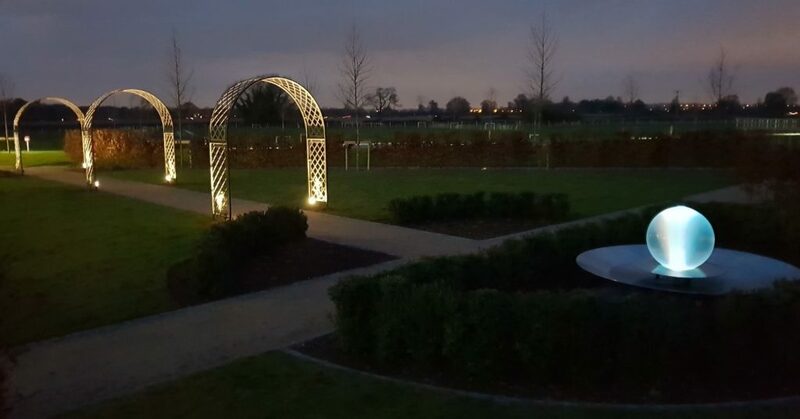 Loving the set up of my client’s landscape design at the Trent Valley Crematorium. 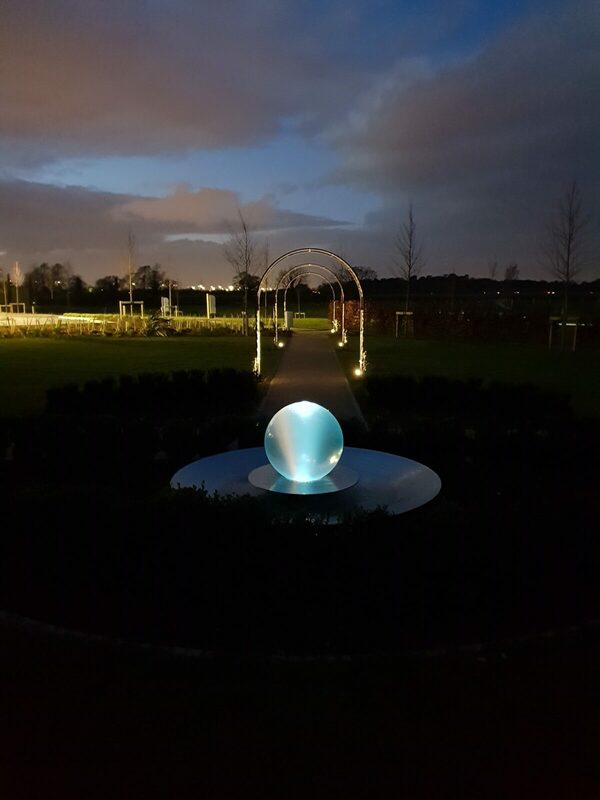 It is always special for me to see my Aqualens enhance a landscape with tranquility, peace, and healing. The Aqualens is like the light and beacon at the end of the tunnel.